Starting at midnight on Wednesday, April 11, 2018, WOUB-TV will be doubling our content on our WOUB Athens and WOUC Cambridge transmitters. First, let’s look at the channels that will be staying the same, but that you might not know the nuances of: WOUB-HD, CLASSIC, and WORLD. WOUB HD 20.1/WOUC 44.1 will continue to offer the same content you’ve grown to love: educational programming such as Nature and Nova, as well as Masterpiece on Sunday nights and daytime shows for kids. CLASSIC 20.2/44.2 will also continue to broadcast older episodes of Nature and Nova, Independent Lens, as well as Great Performances from the Met. On Wednesday and Friday nights, Baby Boomers can look forward to TV classics, like Dragnet, Wagon Train, Jack Benny, Ozzie and Harriet and Roy Rogers on CLASSIC. On Friday, following those beloved TV shows will be various culturally cherished movies from every decade starting in the ‘30s and up through the ‘70s. WORLD 20.3/44.3 will keep up on their usual programming, including Frontline, Global Voices, Pacific Heartbeat, NHK Newsline, Voces, and AfroPop, among other programs. WORLD is always aiming to increase the scope of its public television library by bringing in new content producers and multimedia creators. Some of the series on WORLD include America ReFramed, a program that aims to examine everything from public healthcare to the modern workplace through a series of 26 independent films; and Stories From the Stage, in which entertainment gurus Wes Hazard and Theresa Okokon dissect the art of storytelling. With the new channels, viewers can look forward to the addition of Create, the Ohio Channel, and WOUB Kids. 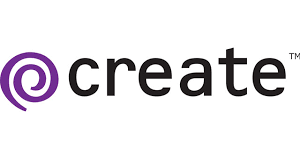 One of the new additions to WOUB’s content offering is Create, which will be on channels 20.4/44.4. Create features the cream of the crop in PBS’ lauded how-to programming. You can look forward to everything from the ASMR-friendly everyman’s painter Bob Ross to seasoned travel expert Rick Steves on Create, as well as America’s Test Kitchen and much more. In particular this channel looks to fulfill WOUB’s mission of allowing its viewers to truly learn life-long and bring practical and fun ideas and inspiration into their lives. Another addition is Ohio Channel 20.5/44.5, which will feature Ohio Statehouse coverage in combination with regionally produced content to give viewers a real sense of statewide issues. 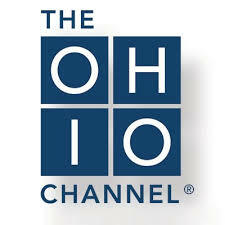 From midnight to 6 p.m., the channel will provide live Statehouse coverage that is supplied by Ohio Government Telecommunications, various Ohio-based public affairs programming and regionally based documentaries. From 6 p.m. to 8 p.m. WOUB will spotlight various documentaries and repeats from WOUB-HD’s schedule, and from 8 p.m. to midnight, viewers can enjoy primetime WOUB-HD programming on the Ohio Channel, giving viewers an opportunity to catch the shows they might have missed initially on WOUB-HD the day before. For example, if you miss a program that broadcast on WOUB-HD on Sunday night, you can catch it Monday night on the Ohio Channel. The final addition to WOUB’s programming offerings is WOUB Kids 20.6/44.6, which is 24-hours-a-day, seven-days-a-week PBS kids shows. Finally, something to put on for your feverish child when they are suffering through the wee hours of the morning! 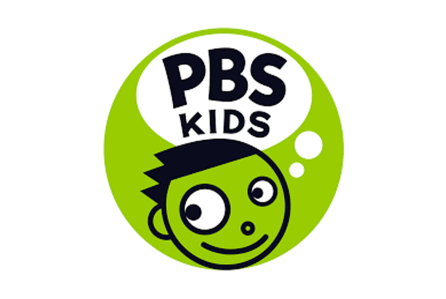 Besides that, the channel allows for children to absorb the intellect-enhancing PBS programming whenever they like, not just after they get home after school or wake up in the morning. Even with the marked increase in those who seek their entertainment and information from streaming services, the number of households who watch over the air programming, such as the kind that WOUB provides, have continued to climb. According to numbers published earlier this year by PBS, examining broadcast statistics from 2017, broadcast only homes make up a quarter of PBS’ primetime audience, a number that is up five percent from 2016. You can always keep up to date with what WOUB is airing at this link.